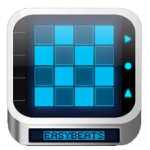 EasyBeats 3 is built from the ground up to be the quickest and easiest way to create great sounding beats. Despite being designed for fast and simple use you’ll be surprised how powerful this tool can be for creating new beat patterns. Using either the inbuilt samples or sounds you have imported yourself you’ll find it easy to compose amazing beats. With a fantastic pattern editor designed for easy drag/drop use, tweaking your rhythms will be a breeze. 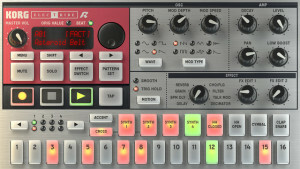 Funkbox contains all your favorite vintage drum machine sounds in one funky quirky little app! FunkBox has been used by electronic artists such as Gorillaz (on their album “The Fall”) and Tom Middleton (Global Communications, Jedi Knights). FunkBox has also been used by rock/pop musicians such as Joan Osborne (“What If God Was One Of Us”) and Glenn Tilbrook (Squeeze) live in concert. Its quirky vintage sounds and advanced features make it popular with musicians of many music genres, both live and in the studio! Virtual MIDI note input fixed. Minor scale in MIDI bass sequencer fixed. Some MIDI in/out values changed to match General MIDI. MIDI implementation chart in the manual has been updated. 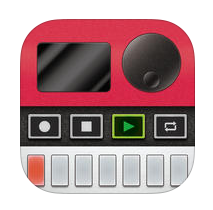 Audiobus is supported, see http://audiob.us for more info on how to use other apps to record or filter FunkBox. The look, feel, sound and quirks of a classic vintage drum machine. 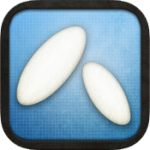 iOS 6 compatible, iPhone 5 retina graphics compatible, iPad retina graphics compatible. Universal app that works great on iPad, iPhone, and iPod Touch. Buy it once and you can use it on all your iOS devices. Fourteen classic boxes to choose from, including favorites like the 808, 909, CR-78, LM-2, MRK-2, DX, TOM, and more. Create your own custom boxes by mix and matching preset samples, or even import and use your own custom samples. 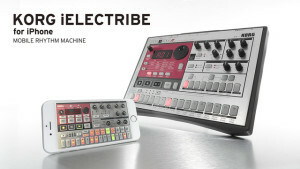 Includes 36 preset rhythm patterns, plus several more bonus banks. Easily edit the included patterns to create your own beats. Export your drum loops as audio or midi via email, audio pasteboard, or the iTunes folder. Easily share your custom boxes and patterns via email with your friends, or between your devices. Use CoreMIDI to sync up with “real” music equipment or other music apps, multi-tasking in the background or on other nearby iOS devices. Use the bonus MIDI bass sequencer to play a bassline along with your beat using another iOS app or a “real” hardware synth!